Some of our past workshops have included following topics. 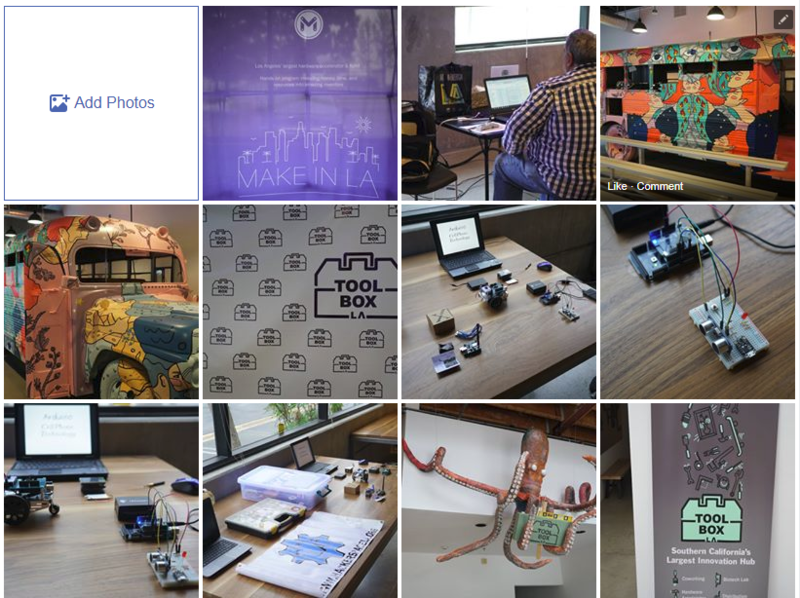 HackerspaceLA is a project that supports the creative process and personal growth of individuals by providing a safe workshop space where individuals can learn and expand their skills, invent, and build new products in a collaborative environment. We want to build a community of creative and technological apt individuals to help grow HackerspaceLA into a technology hub for the San Fernando Valley (SFV.) By developing close ties with education, business, and city leaders, we foresee HackerspaceLA becoming the premier exponent of science, technology, engineering, arts, and math (STEAM) in the San Fernando Valley.